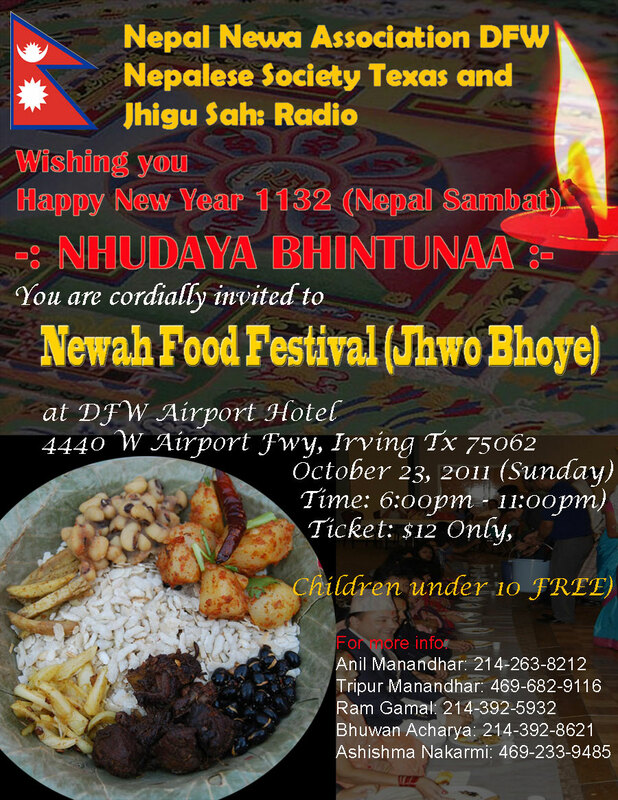 Nepal Newah Cultural Association of Texas, in association with Nepalese Society of Texas (NST) and Jhigu Sah: Radio, is organizing an event to celebrate the Newari New Year Nepal Sambat 1132 in Irving on Sunday, October 23, 2011. The organizers cordially invite everyone to attend the Jhwo Bhoye (Newah Food Festival) which will have traditional Newari food along with cultural dances and live performances by local talents. Previous PostMero Love Story’s Glamorous PremiereNext Postदशैं आयो, मलाई छुदै नछोइ टाढा बाट गयो !